Chuckit! 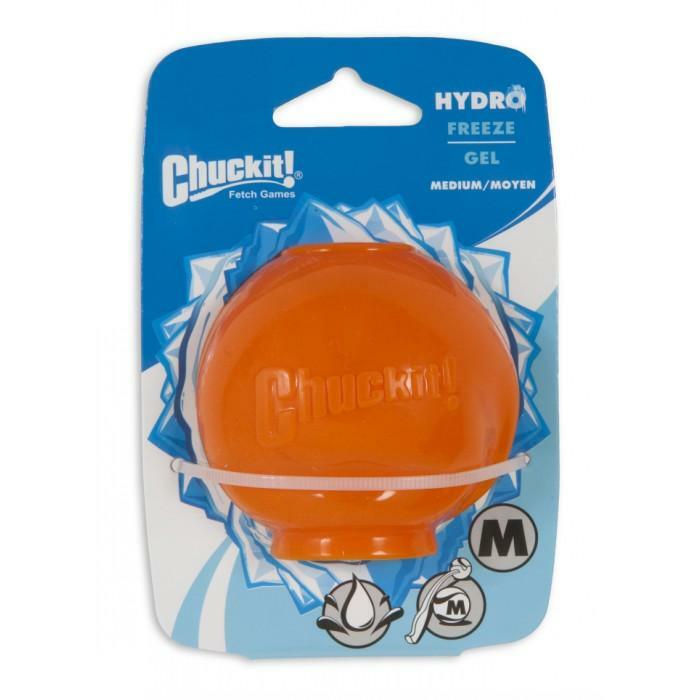 HYDROFREEZE Medium - 150_DOG TOYS, Chuckit!, Hydro - Product Detail - Prestige Pet Products Pty. Ltd. The Chuckit! Hyrdofreeze is designed with an internal reservoir that you freeze to slowly melt over time and release water. It has an easy fill design and includes a silicone freeze shell. Fill & Freeze ice core melts over time keeping water cold and fresh. Launcher compatible.